Examples: CMG Capital Management Group, Aaron Schindler CFP®, Wealth Advisor Group. We work with developers and the client assure that the web site works with an overall marketing program and has the functionality and messages to advance a public relations program. 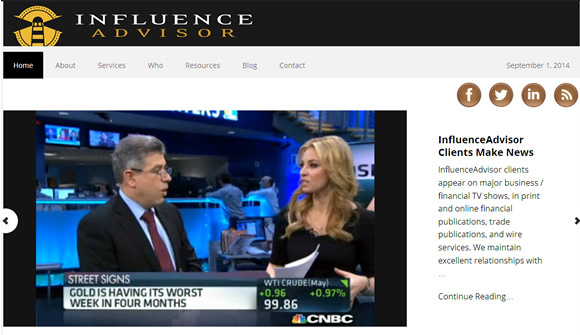 CMG AdvisorCentral: InfluenceAdvisor conceived, produced and launched AdvisorCentral, a portal for the latest news, commentary and analysis of tactical investing strategies. AdvisorCentral is a robust content marketing system designed to catapult CMG Capital Management Group to the forefront of tactical investing strategists. We developed content, an SEO strategy, and a White Paper to capture leads. AdvisorCentral.cmgwealth.com. The InfluenceAdvisor website was built on a Genesis framework with the Studio Press responsive Executive Pro theme. The site was developed to support a blog, resources for advisors, a Landing Page, White Paper, and lead gen strategies. 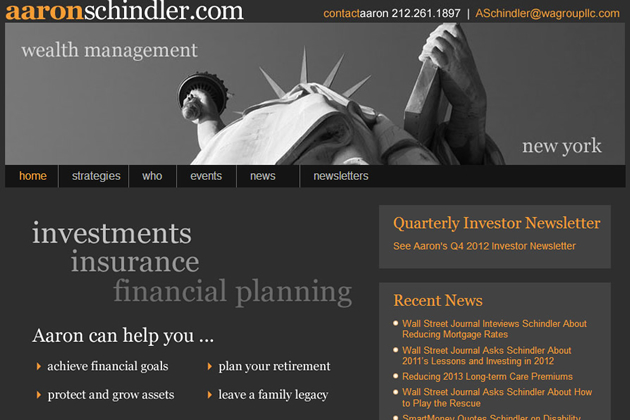 InfluenceAdvisor designed and developed a WordPress website for New York CFP® Aaron Schindler. The site promotes Aaron’s capabilities, and showcases publicity InfluenceAdvisor generated for Aaron in The Wall Street Journal, The New York Times, PBS Nightly Business Report, Dow Jones, MarketWatch and Dow Jones. AaronSchindler.com. 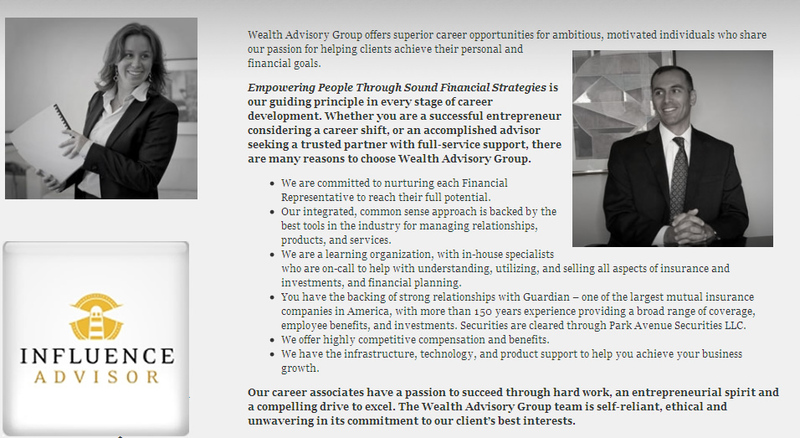 InfluenceAdvisor helped Wealth Advisory Group LLC in New York conceptualize a new website. We worked with the designer/developer and wrote all copy. Launched April, 2012.